Imapct of GST on your personal finances will be mixed. For many items, there is a reduction in taxes. This is mainly because Government has put up strict anti-profiteering measures & warned businesses of tax raids to make sure the companies pass on the benefits to their consumers. Most food items are exempted from GST. They were also not taxable under old regime so prices expect to be largely neutral. There was confusion whether wheat, flour, rice sold in packets would be under high tax. Revenue Secretary has clarified that only those sold under a registered brand name will attract a higher tax of 5%. So, your normal unbranded packets from your local grocery will still be 0 rated. Impact of processed food will be varied. Items like corn flakes will reduce under GST while pastries and cakes will rise. Hair oil, soaps, shampoos are expected to get cheaper. Cost of washing clothes will increase due to increase in rate of detergent and also due to increase in tax on services of laundry places. Other basic items such as Kumkum, alta, puja samagri, bangles (except those made from precious metals) are exempted from GST which will lead to decrease in prices. However, makeup will be more expensive under GST falling under 28%. Kitchen utensils like stainless steel cooker, pan etc are a little cheaper as they are charged at the rate of 12% under GST compared to the old tax rate of 19.5%. Sanitary items like taps, faucets etc. are costlier under GST as they are also kept under the 28% tax bracket. Heavy home appliances such as air conditioners, washing machines are more expensive under GST. Their maintenance and service contracts will also be more expensive as services attract 18% GST. So making small repairs to your home (replacing a tap) & home appliances will be costly under GST. Human blood and its various components are exempted under GST as well as existing laws so prices will remain neutral. Only chemical contraceptives (hormones based) were earlier exempted. Now condoms and other contraceptives are also exempted under GST. Impact on life saving drugs including medicines for diabetics are largely neutral which were taxed also around 5% under VAT/excise regime. Prices of ayurvedic and other alternative medicines will increase as they are taxed under 12% GST. Service industry are now under 18% GST compared to the earlier 15%. So, mobile connections, DTH booking of tickets through agents, apps will increase. Computers are expected to become cheaper. Dining out will be cheaper in most cases because of decrease in taxes. Earlier tax on restaurants came to an effective rate of 20.5%. This has been reduced for all restaurants to 18% GST, including 5-star restaurants. Even better, non-ac restaurants without alcohol will be even cheaper under 12% tax. Many restaurants have already started giving discounts and happy hour low prices. So, eating out is definitely easy on your finances in GST. Movie tickets will attract GST at 28% and food, drinks at theatres will attract 18%. The effect of GST will be mixed depending on the states. States with high entertainment tax such as Maharashtra, UP, will be benefitted as it will reduce the prices for the end consumers. However, GST will have a negative effect on states which already have a low entertainment tax such as Punjab, Rajasthan. So, your life, health, car insurance premiums will increase. Cost of taking out a loan will also increase due to the service component in loan processing etc. Banking services charge 15% service tax currently which will increase to 18% under GST. Most banks have applied transaction charges on cash withdrawals from different bank ATMs, cash withdrawals from branch (first 5 for both are free). All these attracted 15% service tax which has increased to 18% under GST regime. Prices of mid-large cars will increase as they will attract 28% GST along with cess. However, prices of small cars will attract 1%-3% cess thus resulting in a decrease in prices. Mid-sized cars, SUVs and luxury cars will have a 15% cess. Motorcycles will attract 3% cess. Travelling by app based cabs like Ola, Uber has become cheaper as the tax has reduced to only 5%. Already, we pay a reduced amount on travelling. Also, all radio-taxi companies have started various discounts and offers keeping in line with the anti-profiteering measures. Railways tickets will increase slightly due to rates. Economy air prices will fall. However, luxury and business class ticket prices will rise. Budget hotel rooms below Rs. 1000 per day are exempted from GST. Rooms between 1000- 2500 will attract 12% GST. Rooms between 2500-7500 will be taxed under 18%. Rooms above 7500 are taxed at the luxury rate of 28%. Hotel rent will decrease for all rooms except for the high-end luxury ones. Gold, Diamonds, Precious stones will attract 3% GST which will increase prices in most states where the earlier rate came to 2% (1% excise +1% VAT). Cement prices will increase due to the 28% GST rate. In turn, costs for infrastructure and housing which are highly dependent on cement, will also increase. Also rent of office buildings will be subject to GST of 18%. However, the rent of residential buildings are exempted from GST. Rent/Home loan EMI 25-35% 30% 15000 15391 391 Increase no GST on rent of residence. Assumed this is a new home loan EMI. 3% increase in tax on services such as processing fees. No changes due to GST on old home loan EMIs. Movies multiplexes bill 5-9% 8% 5800 5711 -89 Mixed Depends on the Entertainment tax earlier levied by States. If Entertainment tax was high (30% as per example) then it will decrease after GST. Impact on the tobacco industry is going to be largely neutral since the 5% cess was less than the expected rate by the tobacco industry. Exemption list is expected to have around 100 items only as exemptions break the tax chain and create scope for tax evasion. By keeping a small list, it will help to curb tax evasion. Most of the commonly used items (common man items) are under 12% and 18%. Online Shopping is expected to be balanced by lower costs of logistics and smoother inter-state transport because of a uniform tax rate. 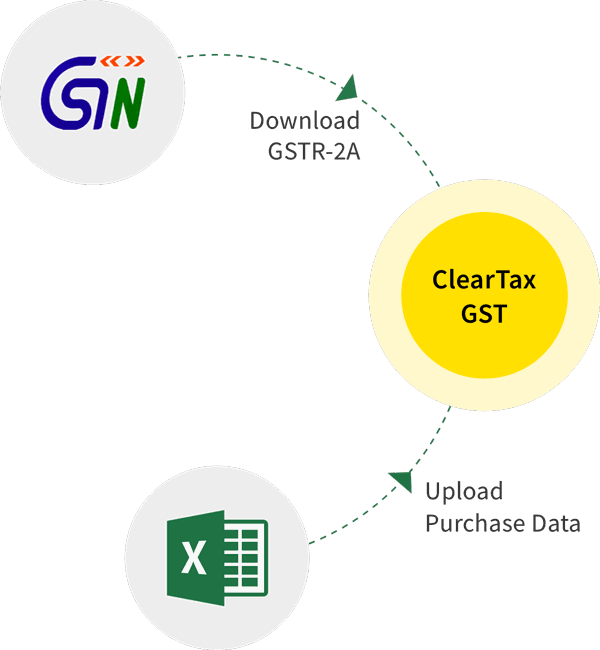 There are still more clarifications required from the GST Council regarding the various tax benefits currently enjoyed by businesses in order to ensure a smooth transition to GST.